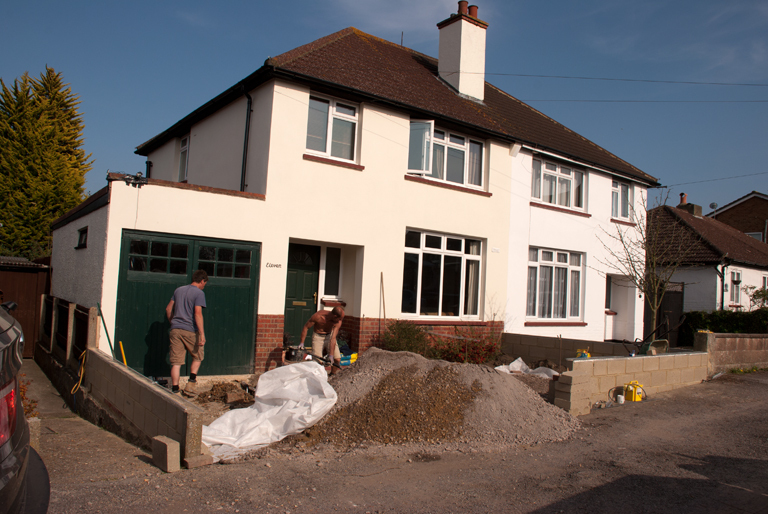 I can’t believe how quickly my front garden is taking shape and by tomorrow the hard landscaping should be finished ready for planting. So far I have shown you the progress over the first three days so this will bring you up to date with what it looked like when the guys left site on Friday evening. 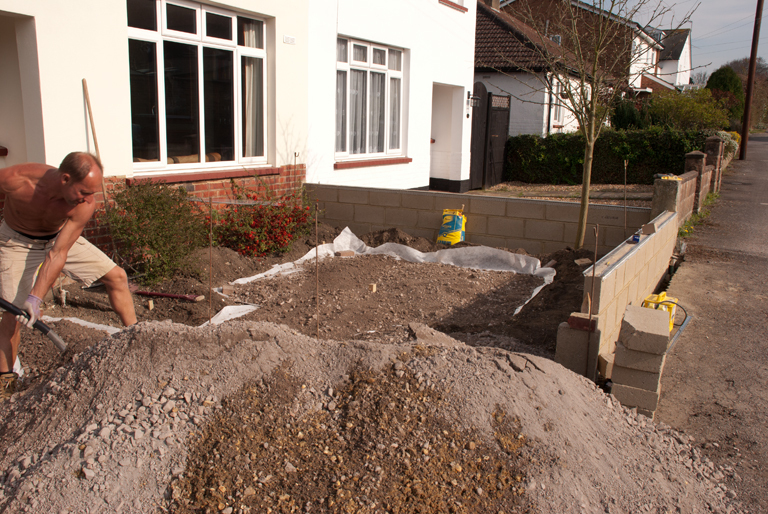 Things really started to move forward on Friday – with all garden projects, while the preparation work is being carried out it doesn’t really feel as though the garden is moving anywhere, it gets worse before it looks better. One of the first jobs of the day was to finish the beading on the walls on which the scratch coat was applied to most of them in the afternoon. 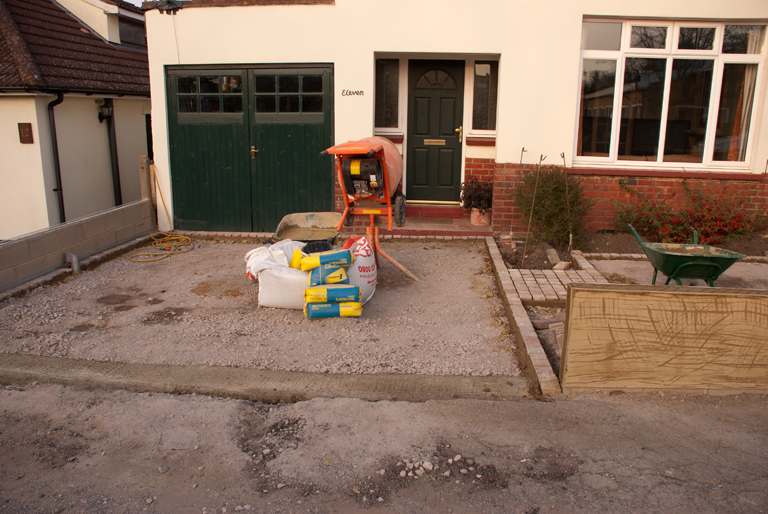 They also started to lay the setts and, other than the threshold to the driveway, these are almost finished. 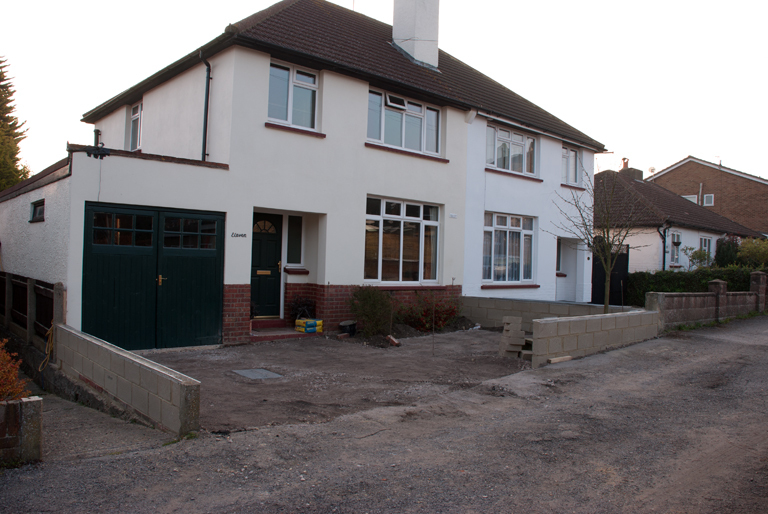 It still looks a bit like a building site, but by the end of today the setts should be finished and the 2nd coat of render will be applied to the walls near the tree. 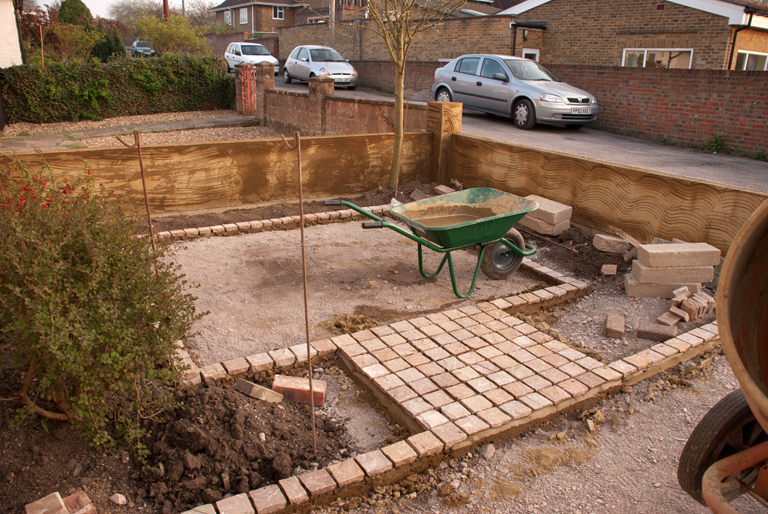 The setts detail for the pathway off the driveway looks gorgeous already – Once they’ve been pointed and the gravel and plants are in this will look amazing. 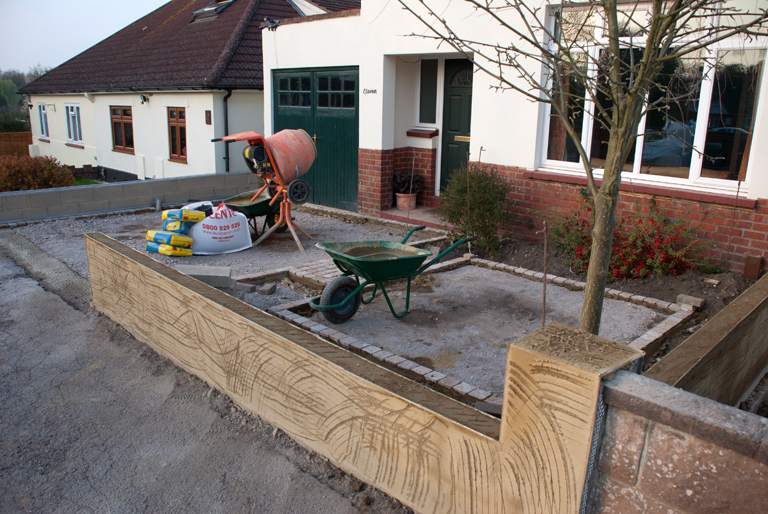 I’m looking forward to seeing the driveway finished too – it will be so much more useable than it was before and most certainly much more attractive – look forward to sharing the pictures on Wednesday when, other than the planting, it should be finished! Looking good! I do enjoy reading your tips and thoughts on your projects.You have given me lots of ideas for my garden. Thanks Gavin – really glad that you enjoy reading the blog. It’s great to be able to blog so regularly about a project – much easier to take pictures when it’s happening outside the front door!